It can be sometimes frustrating when some small chips of the food you eat gets stuck in between the spaces in your teeth and even harder to brush them away. This is where a dental floss comes in. 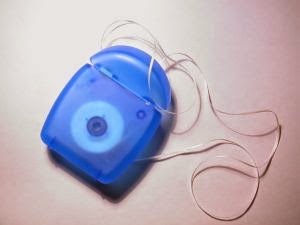 Just with brushing your teeth, if you do not know how to use a dental floss, it will not effectively clean your teeth. By following the steps below, you will be able to optimize a dental floss’ function. Step 1: Strip away an 18-inch floss from the floss dispenser. That is enough for you to clean your teeth. Step 2: Spin the floss around your middle finger. Do this to both hands and leave an inch section opening for flossing. Once you are done, you can start flossing your teeth starting from the top teeth going down. Step 3: Afterwards, place the floss within your mouth and use your index fingers to insert the floss in between the spaces of your teeth. Just make sure that you are gentle when doing so because if you are rough, you might end up injuring the gums. Step 4: When you are moving the floss on an upwards and downwards motion against the tooth and around the gum line, the floss should form a C-shape around the tooth being flossed. It is like sharpening a blade though in this case, it is like sharpening your teeth except that you are removing bits of food in between the teeth. Also make sure that you floss each tooth carefully as well as the back portion of the teeth. Step 5: You can also use used floss as much as you need. When doing so, just wind them around your fingers. Developing this habit will lead to healthy gums and lessens the chances of cavity piling up.